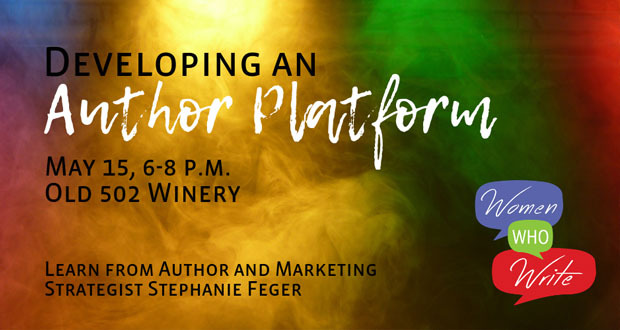 What is an author platform? Do I need one? How do I build one? I have so many questions! If you’re like many writers hoping to be published, you may have been asked about your platform by literary agents and publishers. It’s a topic of increasing interest in the industry and a source of bafflement to fledgling authors. At Women Who Write, our goal is to encourage, support, and educate all women who aspire to write. Therefore, we are proud to present a writer’s workshop on Developing Your Author Platform. The workshop is open to everyone who aspires to write but space is limited and registration is required. Wednesday May 15 6:00 – 8:00 p.m.